A man linked to the Conservative Party monitored political activists over many years. 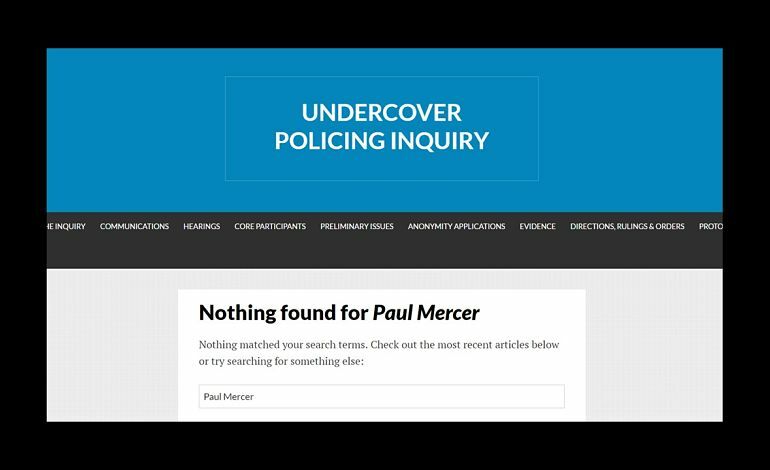 But the undercover policing inquiry currently in progress doesn’t see him as being ‘of interest’. That’s because he didn’t work for the police, but for private operators. One of those operators was recently named in leaked files, in connection with a surveillance operation that followed the tragic death of a young person. Paul Mercer was a journalist, who wrote for a number of publications, including The Observer, The Sunday Times, The Sunday Telegraph and The London Evening Standard. In 1986 he published a book, Peace of the Dead – The Truth Behind the Nuclear Disarmers. The introduction was written by Lord Chalfont (Alun Jones). A few years later Chalfont was exposed as a board member of Zeus Security Consultants, which allegedly organised surveillance of protesters against Sizewell B nuclear power station. In 1994, Mercer published a Directory of British Political Organisations, which included details of 4,500 protest groups. And around that time Mercer infiltrated the anti-roads movement, including protests against the M11. From 2002, Mercer allegedly infiltrated several environmental and animal rights campaigns including Nottingham Against Incineration and Landfill. He also worked as a security consultant for LigneDeux Associates, a company paid £2,500 per month by BAE Systems to provide information on “threats”. In 2003, Mercer worked for The Inkerman Group, which specialises in business risk and intelligence gathering and employed [pdf] former Met Police commissioner (Lord) Peter Imbert as strategic adviser. 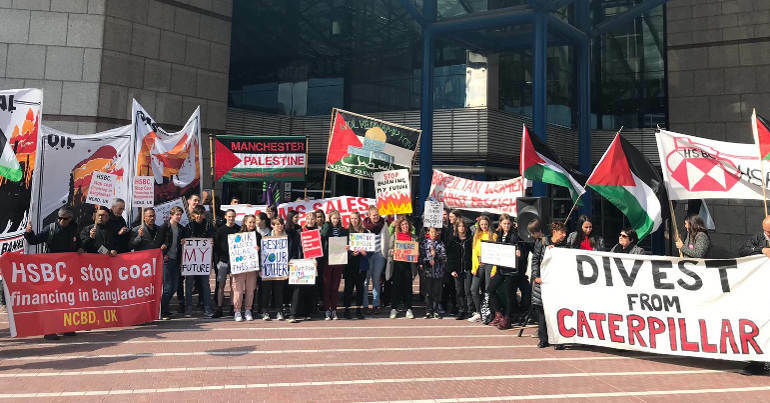 Documents seen by The Guardian describe how The Inkerman Group intended to deploy a covert team at May Day anti-capitalist protests in London. Also, that “Mercer will be on the ground as well” and that other infiltrators should “if possible avoid him”. The Inkerman Group is also named in connection with alleged intelligence-gathering of mobile phone mast protesters on behalf of energy firm RWE nPower, in documents seen by The Guardian and The Bureau of Investigative Journalism. 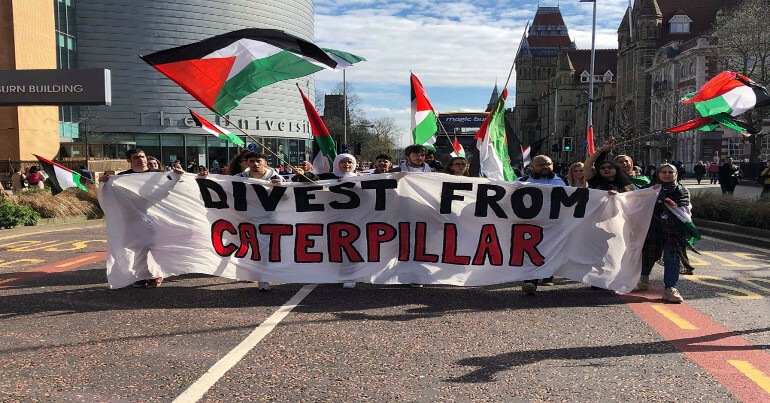 this partnership has been very successful in providing Caterpillar a pro-active approach to activism directed against Caterpillar facilities. In 2007, Mercer was exposed for his role in monitoring the Campaign Against Arms Trade. His contract was via Global Open, a private surveillance firm. It included ex-undercover police officers Mark Kennedy (formerly of the National Public Order Intelligence Unit (NPOIU) and Rod Leeming (formerly of Special Branch and ex-head of NPOIU). There are also Mercer’s political links. In the acknowledgements, Mercer’s book Peace of the Dead credits Conservative MP and later shadow defence minister Julian Lewis as having “done most in terms of proof-reading, copy-editing and acting as a source of inspiration.” And between 1987 and 1991 Mercer served as a Conservative Borough Councillor in Charnwood, Leicestershire. He was re-elected in 2015. Also, in 2015, Conservative education secretary Nicky Morgan accepted a donation of £3,220 from Mercer, who played an active role in her constituency re-election campaign. Mercer has also worked for free market thinktank the Adam Smith Institute and the Conservative Research Department. No one knows the precise number of intelligence-gatherers who work for security companies, or private industry. 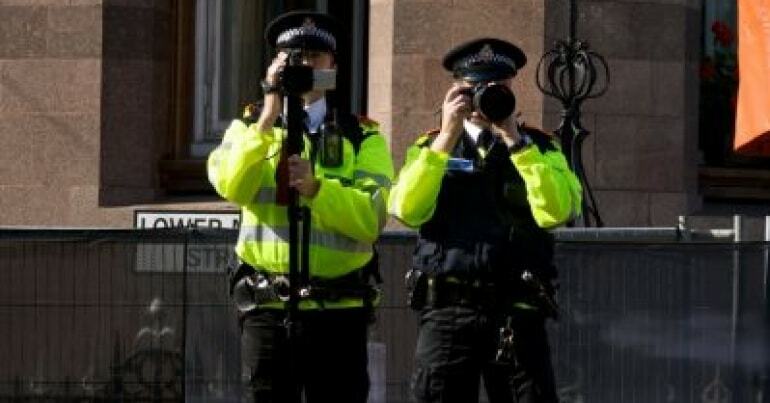 Nor will the undercover policing inquiry examine the work of these freelancers, despite similarities in methods. But that work should be inquired into, if only so that victims of intrusion of this nature can seek redress. 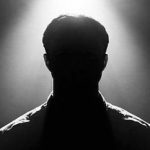 – Read more on spycops in The Canary. – Donate to victims of spycops. Rupert Murdoch wrecks Theresa May’s Xmas bash. She names him ‘the unacceptable face of capitalism’.